We will hold a webinar on May 30 at 11:00 (11 AM) Eastern time. The webinar will cover the launch of Bitrix24.Network as well as the latest Bitrix24 feature updates. Collaboration expert Dion Hinchcliffe will be joining us to share his insights about social communications inside companies and between them. 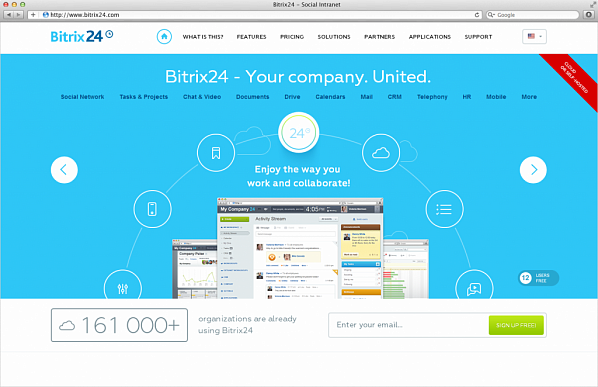 Bitrix24.Network is an exciting new feature that will allow users from different Bitrix24 accounts to collaborate with each other directly from their portals. To register for this webinar, please follow this link.